After an indulgent weekend spent in Washington, D.C., it's time to get back to healthy eating this week. Too many iced lattes and not enough salads, but it was totally worth it! We had a great time exploring The National Zoo and The White House area...and sampling the food scene along the way. Monday - Vegetarian taco salad. 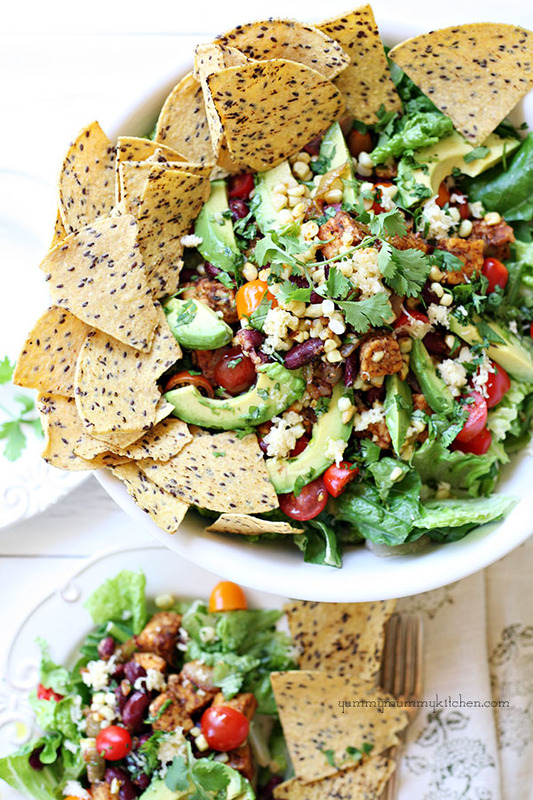 Continuing with our meatless Mondays, this vegetarian taco salad is perfect when you're not in the mood for tacos, but you want all the fixings (extra avocado, please!). 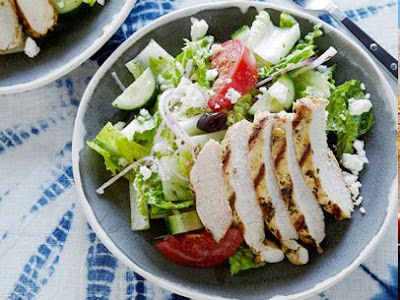 Tuesday - Greek salad with oregano marinated chicken. This is one of my favorite salads of all-time. It's light but the chicken makes it filling. The dressing is amazing, and I always double the recipe so that we have extra for salads that I make for lunch. Wednesday - The girls and I are heading into Manhattan to see the matinee of Cirque du Soleil's Paramour. We'll grab some dinner afterwards. 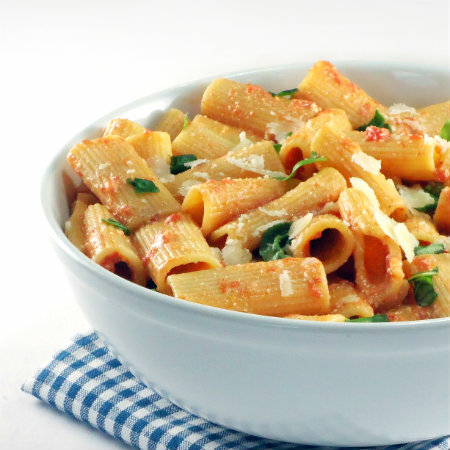 Thursday -Rigatoni with creamy tomato sauce with a side salad. I love a simple pasta that's full of flavor and pleases everyone in the family. Clearly, I'm taking the easy way out with this recipe, but you'll see. It'll quickly become a house favorite. 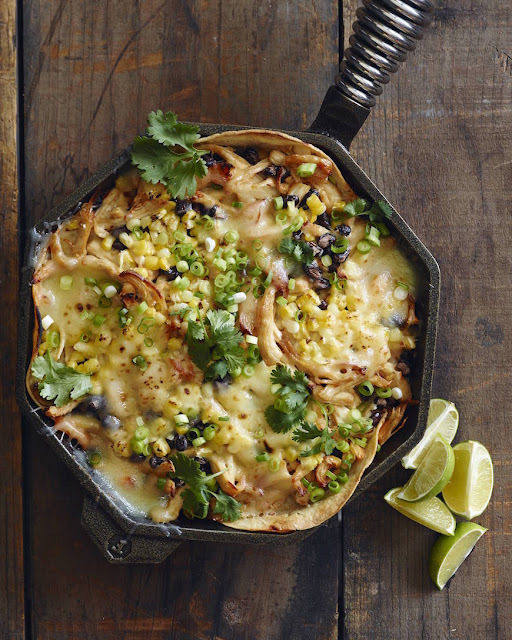 Friday - Skillet chipotle chicken enchilada bake. Easy, peasy is the name of this game. One skillet, and it all gets piled in. My kind of dinner preparation! And there's plenty leftover for lunch the next day. Saturday - My great niece is turning one. We'll be celebrating with her today. 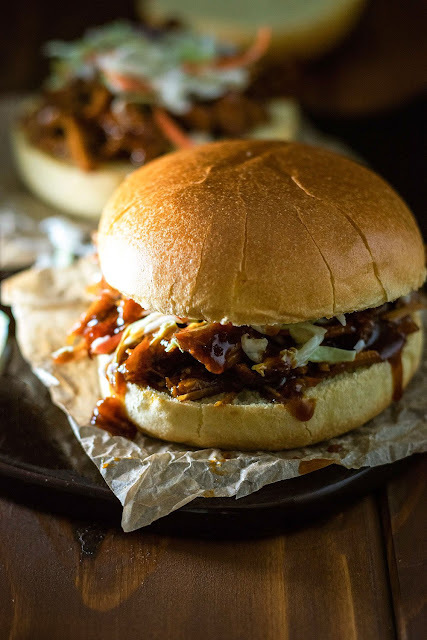 Sunday - Perfect pulled pork sandwiches. 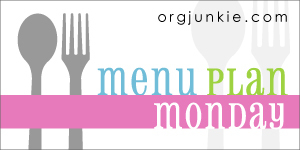 Load up the slow cooker and walk away for the day! I'll be heading to the beach or pool with no worries about dinner. To satisfy your sweet tooth, why not whip up a peach galette? One of my favorite desserts is apple galette. I can't imagine I'd love peach galette any less!